The retro silhouette lives on. 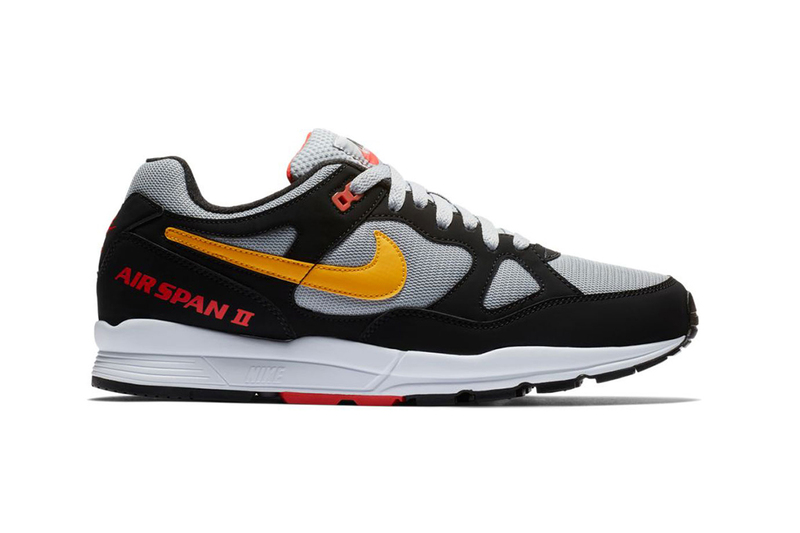 Since making its heralded return late last year, Nike’s Air Span II has since hit the scene in a swarm of colorways, with yet another new rework recently coming up for retail release. Last seen sporting a “Persian Violet/Neptune Green” palette, the new rendition calls attention to a nubuck and mesh constructed upper in a lively mix of “Wolf Grey” with black placed directly overtop, while a bold yellow Swoosh takes up space along the lateral side. Sharp hits of pink provide ample color contrast, as can be seen on the heel, tongue and outsole. Set to a retail price of ¥10,260 JPY (approximately $91 USD), this new Nike Air Span II is now available via atmos. In other sneaker-related news, Rae Sremmurd recalls getting tricked by fake YEEZYs and Rolexes on Sneaker Shopping. Tell the truth or suffer the spice.